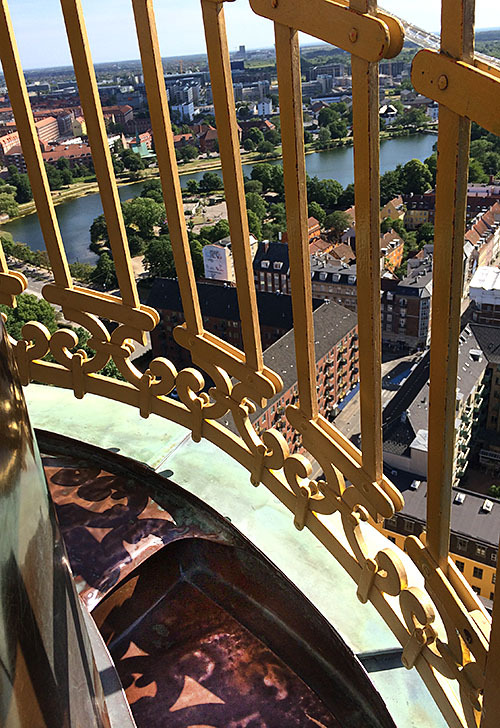 I used some spare time in Copenhagen to climb the “Vor Frelsers Kirke” which is an interesting church, if you get nearer and nearer to the top of the steeple, the stairs get tighter and tighter and it ends with stairs so tight, that you cannot longer take a step, then you are on the highest point. 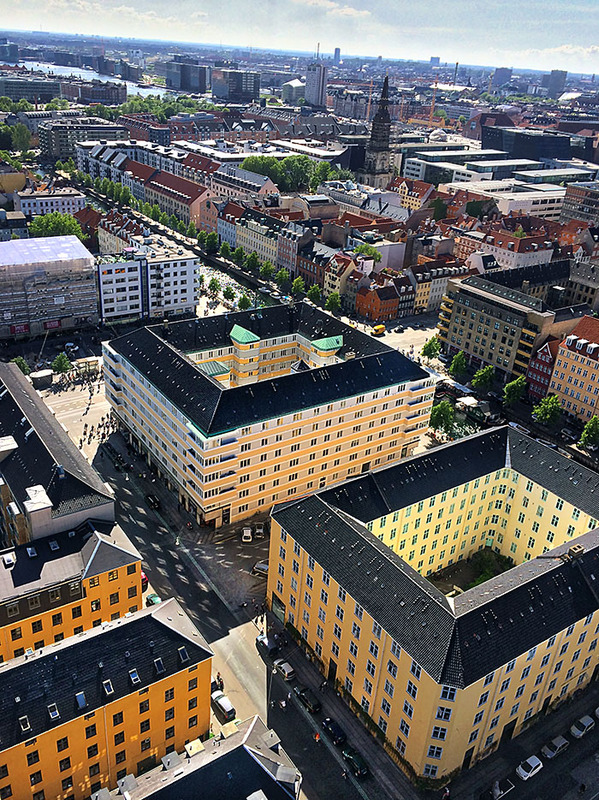 There I took some photos from above and discovered squared buildings which, in that style, I have never seen before. Since this photo session wasn’t planned I took those shots with my I-Phone, which did pretty well.